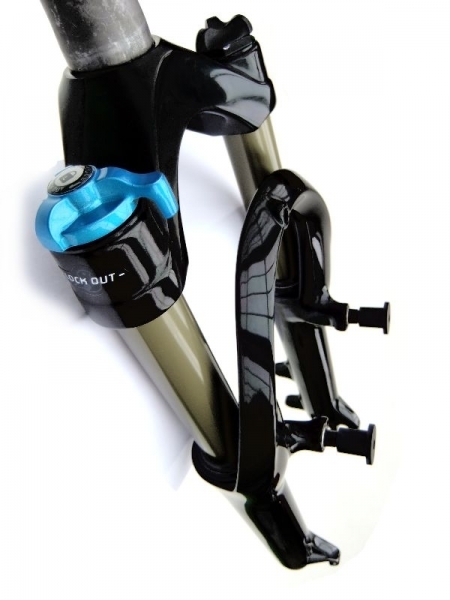 20" (406) Recumbent Suspension Fork with hydraulic damping cartridge & lockout function; 50mm travel, adjustable preload; with rim & disc break option (1690gr). Black alloy crown & slider, hard anodized alloy stanchions. 1 1/8" ahead shaft 230mm, to be cut, even with thread. The comfort upgrade for your recumbent rides!